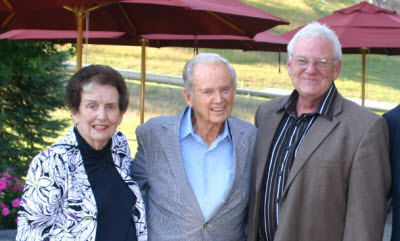 William G. Milliken marked his 90th birthday on March 26. He became Michigan's governor in 1969 when Gov. George Romney was appointed to the U.S. Cabinet. Milliken served as governor through 1982. During his tenure, Michigan moved to the forefront on a variety of reforms, among them passage of open meetings and freedom of information laws. Bridge asked Craig Ruff, who served under Milliken, to offer an appreciation of a man still renowned around Michigan for the love of his home state and his civility in the rough-and-tumble world of politics. In all his life, William G. Milliken is too good and steely to fail. Measure for measure, the goodness of Gov. Milliken surpasses anyone’s reasonable expectations. He is the most temperate person on Earth. In my company, he has never said a shrill or begrudging word. He lives to see good people prosper, not the bad to suffer. He lives to improve conditions and not belittle those with different views of how to get there. What separates Milliken from other good people is his sense of purpose and courage. Without those traits, good people often fail. Milliken aims high and lets nobody or nothing derail his goals. He’s much tougher than some think. In World War II, he flew 50 combat missions as a waist-gunner on B-24 bombers and survived two crash landings. The life expectancy of a waist-gunner was about two or three weeks. Tuskegee airmen surrounded his planes to protect them. His commander said, basically, “With those guys, you’re on your own.” Yet they saved Milliken's life. He never forgets that. When people asked themselves why Bill Milliken and (former Detroit mayor) Coleman Young bonded, they’d only have to discover that Young was a Tuskegee airman. There is not a cell of bigotry in this man’s body. After the war, Milliken went into the family business: a downtown department store in Traverse City. Can you imagine competing against the retail malls of the 1950s and 1960s? His head for business (all that marketing, product picking, interpreting balance sheets and salesmanship) was extraordinary. Milliken’s department store didn't just survive; it prospered. Handed down to him was not just a business, but a reverence for public service. His dad was mayor of Traverse City, and he, like his father, served in the Michigan Senate. Gov. Milliken won his family’s third senatorial seat in the election of 1960. His is not a Horatio Alger story, however. He was not born into poverty. He did what a lot of young men did during World War II: joined up. They fought. Many died. He entered a successful family business. What amazes is that Milliken did not have to do what he did. In war, business, politics or public service. A Yale grad, he didn’t have to return home to Traverse City-- but he did. He didn’t have to lend his smarts to the family business -- but he did. He didn’t have to get into the unseemly business of politics -- but he did. He barely won his first foray into statewide politics, though. By a handful of votes at the 1964 Republican state convention, he defeated Al Green to become George Romney’s running mate. After he moved up to the governorship in early 1969, he faced close elections in 1970 and 1974 to stay in office. A Republican could not ask for two tougher election years than those two years. His third bid for election in 1978 was hardly a slam-dunk, but a far cry easier than the earlier two. Milliken wasn’t just a good, gentle man in the 1970s. He was a tough-nosed politico. He campaigned hard. He waged wars during the several months leading up to an election. And when the wars were won, he settled back into molding and pushing his policy agenda. In that era, campaigns lasted a few months, and then winners settled back into solving problems. Milliken was just as tough as a negotiator with state legislators as he was a candidate. The 1970s were no picnic. Recessions, an oil embargo and shortages of gasoline, Watergate, the Cold War, Vietnam, Kent State and sky-rocketing inflation, to name a few crises. In his 14 years as governor, Democrats controlled the state House of Representatives; for eight of those years, the Dems also ran the state Senate. Not in the least did a split government discourage him from negotiating and leading passage of environmental protections, governmental reform and aid to struggling cities. He, too, was a fiscal conservative at a time when it was far more politically popular to increase spending than reduce taxes. This also was a time when political and partisan adversaries were not personal enemies -- because Milliken would not countenance that. His Democratic opponent in 1970 and 1974 was Sander Levin. Today, they share only warmth with one another. You can win piety contests here and again. You can’t make the history books very often on piety alone, though. Milliken is tough as steel. He’s the most determined person who never sacrificed his charity, empathy or calm in pursuit of aims. You can measure the person on character alone. Boring down a bit deeper, measure too the accomplishments, personal courage and strength of purpose of the person. Then, you get a measure of legacy. To William G. Milliken, I send the same tribute. You embody and exude the values of sacrifice, courage, self-confidence, pragmatism, and compassion. You love our state to the nth degree. You show us the way. You always have. You always will. There never will come an end to the good that you have done. Craig Ruff is a senior policy fellow with Public Sector Consultants in Lansing and a member of the Center for Michigan's Steering Committee. Ruff served as special assistant for human services for Gov. Milliken. Happy Birthday, Governor. I remember you from my youth, when I was growing up in Ferndale. Your civility, sense of honor and moderation all commended themselves to me, and I am happy to know that you continue to thrive. Many happy returns. Best wishes Bill, from your old arch nemesis. Happy belated birthday,mine is also in march,I am daughter of Howard Bernard Milliken,from South Bend Indiana.Bless you and good health for many years to come. your cuz lol Bernadette.